Born 12 June 1946, Hatch End, Middlesex, England. Folk singer-songwriter and guitarist Roberts’ solo achievements have been overshadowed by his work on recordings by other artists. He first came to public attention after meeting BBC disc jockey John Peel in 1967. During this period Roberts accompanied the Scaffold before going on to join the Liverpool Scene in 1968. He recorded his highly acclaimed solo debut Home Grown while still a member of the Liverpool Scene. Initially released on RCA Records in 1970, the album was reissued in shortened form by B&C Records the following year. Roberts recorded two further albums in 1971; the beautiful solo album Nina And The Dream Tree continued the fine work begun on Home Grown, while Everyone was recorded with the ill-fated band of the same name, featuring Roberts, Bob Sargeant, Dave Richards and John Pearson. 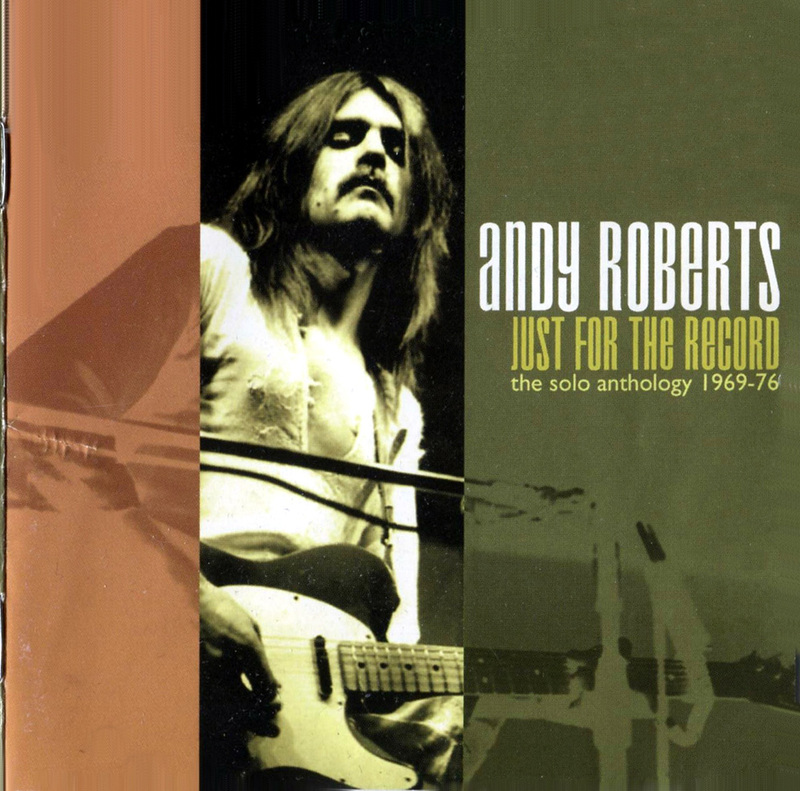 In 1972 Roberts joined Plainsong with whom he recorded the highly regardedIn Search Of Amelia Earhart. He then joined former Liverpool Scene colleagues Roger McGough and Adrian Henri in the Grimms from 1973-76, during which time he appeared on their final two albums. During this period Roberts also released two further solo albums, Urban Cowboy and Andy Roberts And The Great Stampede. In 1974, he featured in his first stage musical, Mind Your Head, but thereafter concentrated on session work. He worked with Roy Harper, the Albion Band and Hank Wangford. He recorded and toured with the latter artist until 1984, but continued with other session commitments, including playing guitar on Pink Floyd’s The Wall in 1981. Roberts also provided a singing voice for UK television’s satirical puppet seriesSpitting Image from 1983-84. From the mid-80s onwards, Roberts has been heavily involved in composing music for film, television and theatre. His flexibility is reflected in the diversity of the programmes he has composed for, ranging from television drama series such as The Men’s Room (excellent theme song sung by Sarah Jane Morris, ‘I Am A Woman’) - to Madhur Jaffrey’s Far Eastern Cookery. In his capacity as composer, Roberts has been involved with Z Cars, Bergerac and the six-part television documentary series, Where On Earth Are We Going?, in addition to writing music for the movies Loose Connections, A Masculine Ending, Priest, Mad Love, Face, and Going Off Big Time. He also acted as musical director for the Royal Court in Sloane Square, London, during the early 80s. He has also played on countless sessions by a wealth of artists, and since the early 90s has toured and recorded with the reunited Plainsong.